Well, we’re here. I’m sitting in the apartment having made it all the way from Cumbria to Berlin. I’m pretty proud to be able to say it. Last night, for the first time since unpacking our car, we ventured into Berlin proper for a bit of a wander. We got off the U-Bahn at Oranienburger Tor and walked towards a bar we’d been to before. It was cold. The bite in the air added to a pinch-yourself style numbness to being in Berlin. Going into town used to mean getting the bus into Manchester. I must’ve done that journey a hundred thousand times. More recently it meant a little walk into Kendal – though we never really called that town. Now however, going into town means getting the U6 into Berlin. We scurried towards Augustrasse nuzzling our chins into our scarves. On crossing Oranienburger Strasse, a glance to our right gave us a perfect view of the TV Tower. All lit up at night, its red lights flashing. Although we’ve been here for a week already, we’ve hardly been out. We’ve had stuff to sort and work to do (we’re busier on freelance work than ever before). Seeing the TV Tower was a little moment to remember. I wish I’d taken a photograph but it was too cold to mess about. I try not to have aspirations. Hopes are fine and ambitions are at least tangible but aspirations feel a bit too dewy eyed. I don’t want to bring too many expectations of what life in Berlin will offer. However, I have…how could I describe it…felt a pang of something everytime I’ve visited Berlin. I just always wished I lived here rather than visited from time to time. Whatever that feeling might be, it was a moment of real fulfilment to think this was now my home. That famous TV Tower, and everything it represents about this fantastic city, is now a feature of where I live. I always wanted to be able to play an instrument and join a band. When I did that, it felt like I’d achieved something. I always wanted to find a partner that I believed I could spend the rest of my life with. I think I’ve done this too and it’s perhaps the greatest and most durable sense of fulfilment. But looking up at the TV Tower, for that chilly moment, was right up there with almost anything I’ve done before. Of course, Tegel isn’t quite Berlin. It really isn’t but the trade off we made was between the space we’d get here and the cost of living in more central districts. Now that we’re here, it doesn’t feel like much of a concession. 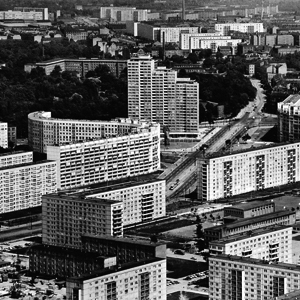 Tegel has a greater population than our former home and has everything we need in terms of shops and facilities. The apartment is perhaps the grandest abode I’ve ever lived in. It’s huge – the ceilings are more than three metres high. The main doors are more than two metres high. As homely as it now feels, I don’t think we’ll ever quite get over what a find this is. 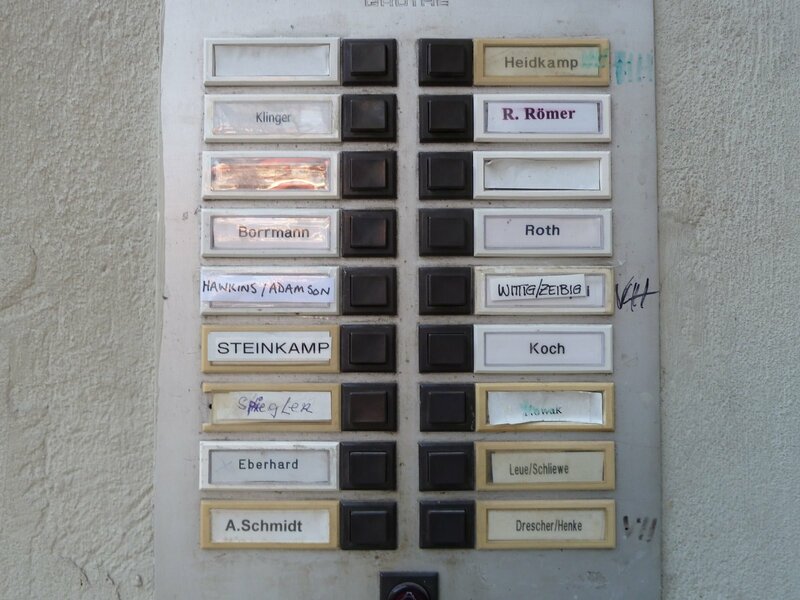 Whenever I’ve visited people in Berlin, it always surprises me when the name of the person you’re hoping to see is written on the door buzzer panel of their accommodation. It’s seems strange that you can find the one name you’re after amongst all these millions of people. Now, my name is on one of those buzzer panels. I wonder if I’ll ever unself-consciously look at it? 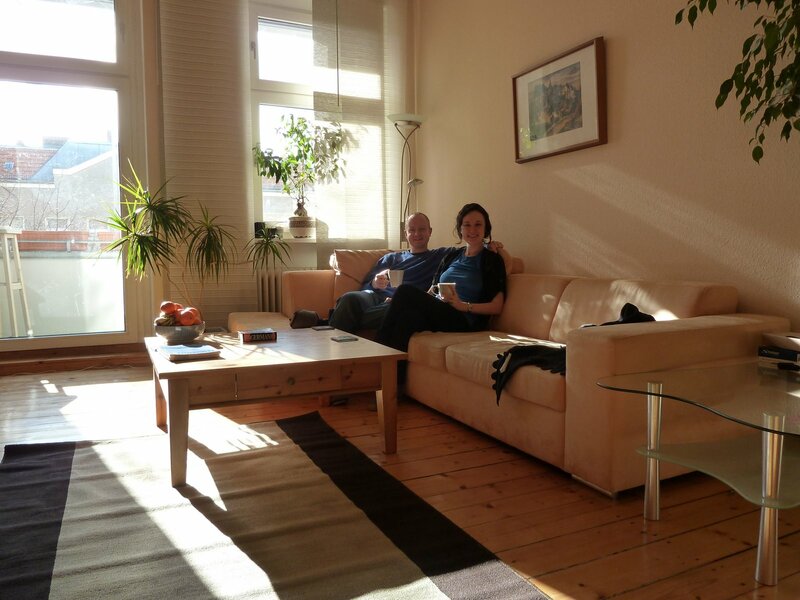 So, our year in Berlin starts properly from here. I wonder what stories I’ll be able to tell? This entry was posted on 23/02/2011 by hawkinsian in aspirations, fulfilment, Tegel.